Microsoft announced on Tuesday it will pay €3.79 billion (US$5 billion) for "substantially all" of the Nokia's Devices & Services business and €1.65 billion to license Nokia's patents at the close of the transaction. The deal is a momentous one for both companies, and the end of an era for Nokia, which will now focus on mobile networking equipment and mapping and location services. "With mobile now firmly positioned as the world's fastest-growing and largest computing platform we see this move as a bold but entirely necessary gamble by Microsoft," wrote Ben Wood, chief of research at CCS Insight, in a research note. The failure of Microsoft's platform-only approach to the mobile market over the last 15 years -- first with Windows Mobile and more recently with Windows Phone -- has left it with few alternatives given its almost complete reliance on Nokia for Windows Phone devices and the competitive ecosystem strength of Google and Apple, according to Wood. The deal, if approved, should be positive for both companies. But the challenge of integrating the two businesses shouldn't be underestimated, especially at a time when Microsoft is in the middle of its own biggest ever re-organisation. History is littered with failed efforts of this magnitude, Wood said. "I think it is a question of timing, and time is running out for Microsoft to have a go at the mobile space. With Nokia it had a preferred partner, but this takes away any risk of Nokia moving [to another OS] or someone acquiring them," Milanesi said. Both think the acquisition will leave Microsoft as the sole maker of Windows Phones. That is, unless something significant happens to Android, according to Milanesi. The speed at which Microsoft-Nokia can develop new smartphones, improve the underlying OS and get developers to create more apps will be key to the future success of Windows Phone, which is still a distant third in the ecosystem race. In the last six months Nokia has shown a greater urgency, and Milanesi hopes some of that energy will be injected into Microsoft. The success of the deal will to a large extent depend on Microsoft's ability to persuade the best Nokia employees to stay. "I really think it would be a mistake by Microsoft to integrate the two and take over, because it doesn't understand mobile. 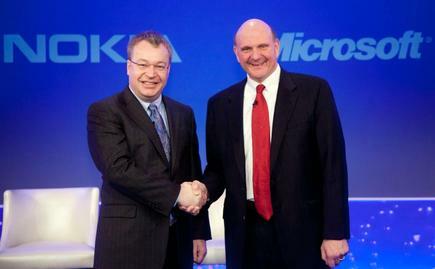 What is good about the Lumia smartphones has more to do with Nokia than Microsoft," Milanesi said. The biggest change for Microsoft is that it will become a smartphone vendor, but the company also has to take advantage of Nokia's know-how across the company to make sure that mobility pervades the whole organization, she said. The future success of any smartphone vendor, including Microsoft, will also depend on its ability to offer competitive, low-cost devices for emerging markets from where most of the growth will come. "Emerging markets will be crucial for the next phase of computing, and the phones will be the first step," said Milanesi. Nokia has been addressing this segment of the market with its Asha phones. But just like the Lumia family, those products are under heavy pressure from low-cost Android-based products, and as a result their sales have suffered. Microsoft must address this by continuing to push smartphones to lower price points, and should quickly develop a lightweight variant of Windows Phone to address this, according to Wood. To make Windows Phone run on sub-$100 devices, there is a lot Microsoft could learn from the work Nokia has done on the Asha family, according to Milanesi. That is especially true for the Asha 501, for which Nokia developed a new touch user interface, she said. The deal between Microsoft and Nokia also highlights how competitive the smartphone market has become, according to Francisco Jeronimo, research director for European mobile devices at IDC. "I think it's very clear that Nokia was struggling. This is the kind of decision that isn't taken lightly, and I am sure there was a lot of discussion within the company. But Nokia must have understood that it didn't have enough financial resources to compete, particularly with Apple and Samsung," Jeronimo said. The big question is what it means to the industry as a whole, which is going through some major changes. Microsoft's acquisition comes just three weeks after BlackBerry announced it had formed a committee to explore strategic alternatives for the future of the company that could include joint ventures or a sale of the company, as it struggles to turn its new BlackBerry 10 operating system into a success. "This isn't just about developing a mobile phone. This is a very mature market, so you need financial muscle to compete and if you don't have that you will struggle. That is what has happened to Nokia and what has happened to BlackBerry and HTC," Jeronimo said. A vendor like HTC risks being squeezed between Apple, Google, Microsoft and others while continuing to come under extreme pressure from emerging Chinese vendors. So more industry consolidation will happen, according to Wood.